A Legacy | College is……..
It’s no mystery that many students want to enter the elite colleges such as Harvard, Yale, Columbia, Princeton, etc…, but how do you get admitted to one? Well the other day I found an interesting article written by the New York Times. The article was titled Debating Legacy Admissions at Yale, and Elsewhere. This article discusses whether legacy consideration is fair at Yale. The article gives the perspective of Jeffrey B. Brenzel, dean of undergraduate admissions at Yale University, Richard D. Kahlenberg from the Century Foundation, and Daniel Golden, an editor at Bloomberg. The three professionals give their personal opinion about legacy preference. To me it seems that the dean of Yale is trying to make legacy preference seem like it’s not a big deal, but as a college student who did go through the admission process, I know that legacy does make a difference. I don’t know how much of a difference, but I do know that the colleges will look at your application more carefully. I really enjoyed this article because it really gives the readers both sides of the argument, but I still wonder what are the exact numbers? 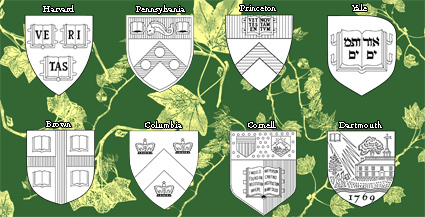 How many people that attend Ivies are legacies? Is the system really that unfair? I mean if my parents donated millions of dollars to a university, I would expect to get accepted also. Besides what is to say that student with legacies aren’t qualified to attend the University also? I would expect that parents who attended the Ivies would have high values in education and expect their child to also be pretty elite education wise. Brenzel argued that legacy admissions have gone down, but the point of the matter is, they still make a difference. Let’s face it, if two applicants are exactly the same, but one has legacy. Most like, the one with the legacy would be accepted. It seems to me that if you have legacy to a certain school, there would be more pressure to attend that school. Brenzel defends their legacy preferences by stating that they also accept many low-income students. Though this is a good argument, I wonder why all colleges aren’t need-blind. I feel that need-blind is the only way to be completely fair to everyone. Kahlenberg on the other hand really does not like legacy preferences. He argues that they are unconstitutional and contrary to American values. I think acceptances shouldn’t be about legacy or the amount of money you have, but the potential to do well and succeed. I feel that the whole debate about legacy preference seems to be that by admitting students with legacies, the university is also turning away equally competitive applicants simply because their parents didn’t attend the elite school also. Since there has been so many outcries because of legacy admissions, Ivies now look for well-qualified legacies. College admissions are not always fair. I remember when I was applying I saw students who would mark that they were Hispanic or American Indian even though they were only ¼ simply because they knew it would give them an advantage. Some people lie on their applications, some people don’t take difficult classes so they have a high GPAs, and etc…, but at the end of the day if someone really does not belong at an Ivy they will know. When legacies attend college they have to compete against those who did get admitted the “real” way and that is when they will be able to tell if they really do belong. They will be competing against the high-achievers in all their classes. Everyone should read the article and decide for themselves whether the legacy system is fair. What do you think? This entry was posted in Uncategorized and tagged admission, chapman, college, legacy, New York Times. Bookmark the permalink. You’re right. I think that we’ll never know completely what criteria affect our admission. And legacies are surely one of them. Connections and building of “circles of trust” are very important in business and that’s probably the main reason for colleges considering legacies. However, I personally believe that they’re fair during admissions and that they’re trying to reach a sort of a balance in the student pool. Thus they accept both legacies or wealthy students, economically disadvantaged students and first generation college students. A fascinating discussion is worth comment. I believe that you should write more about this topic, it may not be a taboo subject but usually people do not speak about such topics. To the next! All the best! !